Rock legends The Cure are booked to headline the Lollapalooza music festival for the first time, organizers have said. Mumford and Sons, The Killers and Nine Inch Nails, part of the Chicago festival’s first line-up in 1991, will also perform, founder Perry Farrell has said. Phoenix, Thievery Corporation, Tegan and Sara, Cat Power, Lana Del Rey and Vampire Weekend are also confirmed. 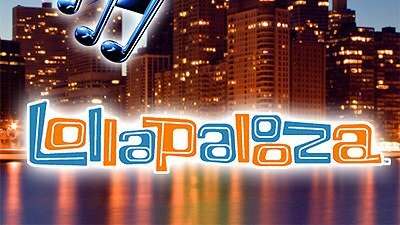 More than 130 acts have been booked to play the Lollapalooza festival on August 2-4, 2013. “It is so exciting to have The Cure at Lollapalooza for the first time because I love The Cure and we’ve never had them,” said Perry Farrell, lead singer for Jane’s Addiction. Meanwhile, Mumford and Sons are returning as headliners just three years after their last performance at Lollapalooza in 2010, when they played during the day. Mumford and Sons’ latest album, Babel, has sold more than one million copies. The line-up reflects a mix of genres – indie bands, singer-songwriters, country, hip-hop, rock and electronic acts. The musicians will be travelling to the festival from all over the world. “We don’t look to stylize our line-up so much as we just stay away from pop garbage,” Perry Farrell said, adding that he considers himself a curator in his role arranging the festival line-up. Lollapalooza music festival will take place at Chicago’s Grant Park for the ninth year, and three-day passes for the festival have already sold out. Some one-day passes are still available. Previous headliners included Lady Gaga, Green Day, Eminem and Coldplay.